If it wasn’t for We Should Cocoa, I probably wouldn’t have managed this fig and mincemeat Christmas bundt cake this year. I’m still recovering from flu and lacking in energy, so cooking has been mostly off this Christmas. However, I’m really glad I made the effort as it’s a light and delicious fruit cake that even CT will eat – he’s not a fan of either fruit cake or mincemeat, but is weirdly happy to indulge in this festive treat. Luckily, this fig and mincemeat Christmas bundt cake is very easy to make. It can be prepared right at the last minute, which is an added bonus if you haven’t managed to get organised earlier on. I used what has become my go to bundt recipe as the base for this cake. It contains ground almonds, which always adds a certain touch of deliciousness to a bake. I finished off last year’s chocolate berry mincemeat and added the required figs to the mix. Job done. A bundt mould turns an ordinary cake into something special, not I hasten to add, that this is an ordinary cake. As I’m so behind this year and hadn’t managed to make my next door neighbours anything, I siphoned off some of the batter into muffin cases, so that they got their Christmas bake after all. I’d like to wish you all a Very Merry Christmas. A deliciously moist light fruit cake buzzing with flavour that can be made a few days in advance or right at the last minute. Soak the figs in the Amaretto overnight in a covered bowl. Beat in eggs, one at a time, alternating with a spoonful of the flour if necessary. Sift in the flour, almonds, baking powder and bicarb. Stir until just combined. Grate in the orange zest and stir together with the orange juice. Add the mincemeat and stir until just combined. Place a tbsp of batter into six muffin cases, then spoon the rest into a greased bundt mould or tin. Bake at 180°C for about 45 minutes or until the cake is well risen and an inserted skewer comes out clean. Allow to cool for 10 minutes, then turn out onto a wire rack to cool. Mix the icing sugar with just enough limoncello to make a slightly runny icing. Drizle this over the cooled cake. Makes 12-16 slices depending on how thick you like them. I’m entering this Christmas bundt into my very own challenge We Should Cocoa, where the special ingredients is festive figs this month. This festive recipe goes off to Love Cake too with Ness of JibberJabberUk as it’s a December Delight. I’m also entering it into Family Foodies with Lou of Eat Your Veg and Vanesther of Bangers & Mash as the theme is festive. I used both local duck eggs and wholemeal flour in the cake, so a slice wings it’s way to Elizabeth’s Kitchen Diary for Shop Local. This is one boozy cake. It contains cognac, mint vodka, Amaretto and limoncello in the mix, which makes it entirely apt for this month’s boozy Christmas Baking with Spirit over at Cake of the Week. I’m also sending this fig and mincemeat Christmas bundt cake off to Elizabeth’s Kitchen Diary for her No Waste Food Challenge. I’d opened the jar of mincemeat to make chocolate mincemeat flapjacks and it really needed finishing. I’d also got part of an “almond fig wheel” I was given for Christmas last year and left any longer it might have just walked out of my kitchen. For the same reasons as above, I’m entering this into Credit Crunch Munch. The left over mincemeat and figs meant this was an incredibly cheap Christmas cake to make. Plus only a little icing was used. This is hosted by Camilla of Fab Food 4 All and Helen of Fuss Free Flavours. Thanks for visiting Tin and Thyme. 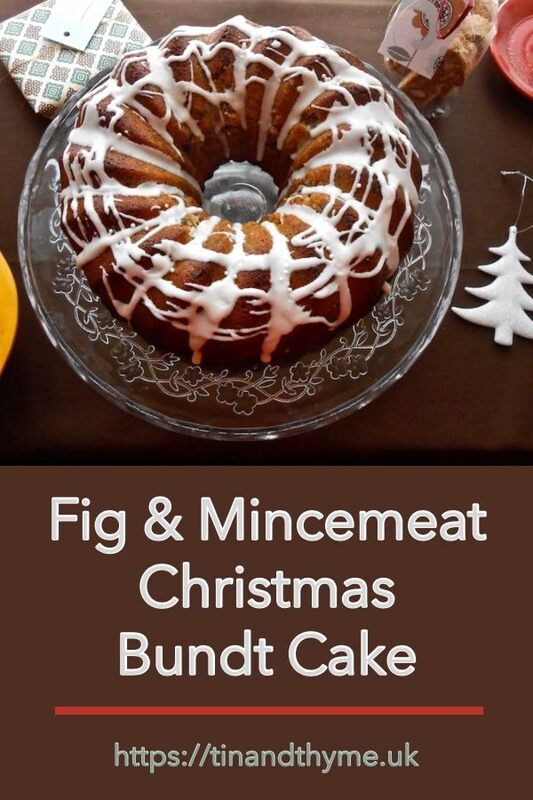 If you make this fig and mincemeat Christmas bundt cake, I’d love to hear about it in the comments below or via social media. Do share photos on social media too and use the hashtag #tinandthyme, so I can spot them. For more delicious and nutritious recipes, follow me on Twitter, Facebook, Instagram or Pinterest. Fig and Mincemeat Christmas Bundt Cake. PIN IT. It turned out to be a most excellent cake Laura. Thank you. When our miniscule shop-bought, home-iced Christmas cake is gone I shall make one of these – just to compensate for the shame of having to buy one this year! Oh no Jean, but you make such excellent cakes. Tell you what though, it would be hard to be disappointed with this one. This has to be the most delicious looking recipe I’ve seen for using up leftover mincemeat! It’s very pretty too! Thank you Suelle. That’s high praise coming from you. But you are right, it is a delicious cake and has a great texture too. I’m really pleased with it. Thank you, I am indeed chuffed – it’s delicious. What a lovely cake Choclette. 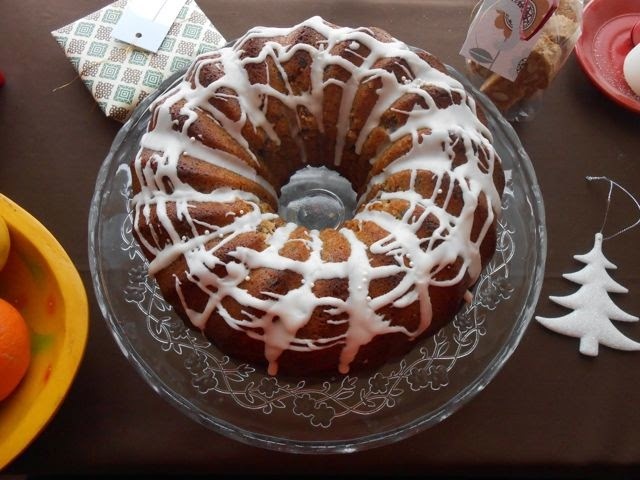 A bundt cake is always so welcome, I would have it for breakfast too! I hope you had a good Christmas. I wish you a good 2015! Thank you Alida. Christmas was a quiet one for us this year, which is just as well as we both had flu. The cake, however, was a triumph. Wishing you all the best for 2015 too. Happy Christmas Choclette! I’m so glad you manage to recover enough to make this beauty of a cake and some lovely muffins for your neighbours. Thanks for linking up. Yes me too Ness. 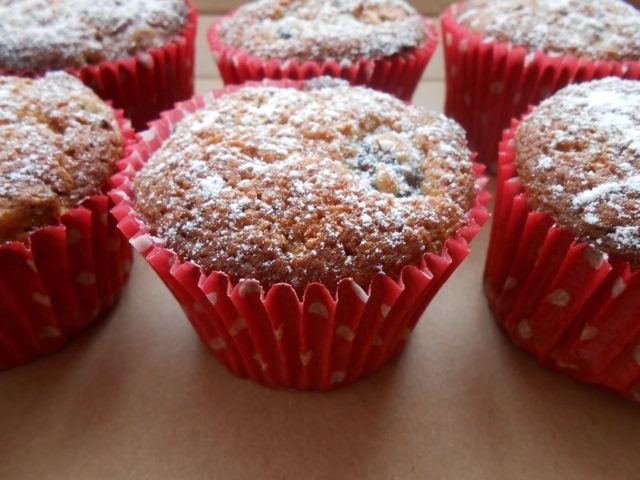 It’s a fabulous cake, so hopefully the muffins turned out well too. great effort choclette – it sounds really lovely – I love the idea of a christmas cake with mince meat, especially when a little chocolate is involved. The cake sounds amazing, especially with such a combination of spirits! I’m interested to find out how all the flavours go together. Thanks for entering this into Baking With Spirit! Thanks Janine. The cake is absolutely delicious. You can’t taste any of the spirit’s individually (apart from the limoncello in the icing), but they’ve all melded together to produce something truly wonderful. Gosh, looks amazing! And a boozy cake is right up my street! That fig and mincemeat bundt cake sounds so amazing – need to try it! I still don’t have a Bundt cake tin. Can you believe that? I only got mine about a year ago Bintu – it’s a silicone one so makes it dead easy. Thank you Kate. Mine is a bundt shape mould rather than a tin, which makes it dead easy to turn out. It’s my favourite cake “tin” now. Today is the first day I’ve felt almost normal in about three weeks! This cake sounds amazing and I love the sound of cardamom sugar too. Do you just pop the pods in a jar of sugar? And a very fine entry for this month’s Family Foodies challenge – thanks for linking up? I bet this tasted absolutely fantastic! What a great flavour combination. Thank you for sharing with the #ShopLocalChallenge and the #NoWasteFoodChallenge – and wishing you all the best for the New Year!